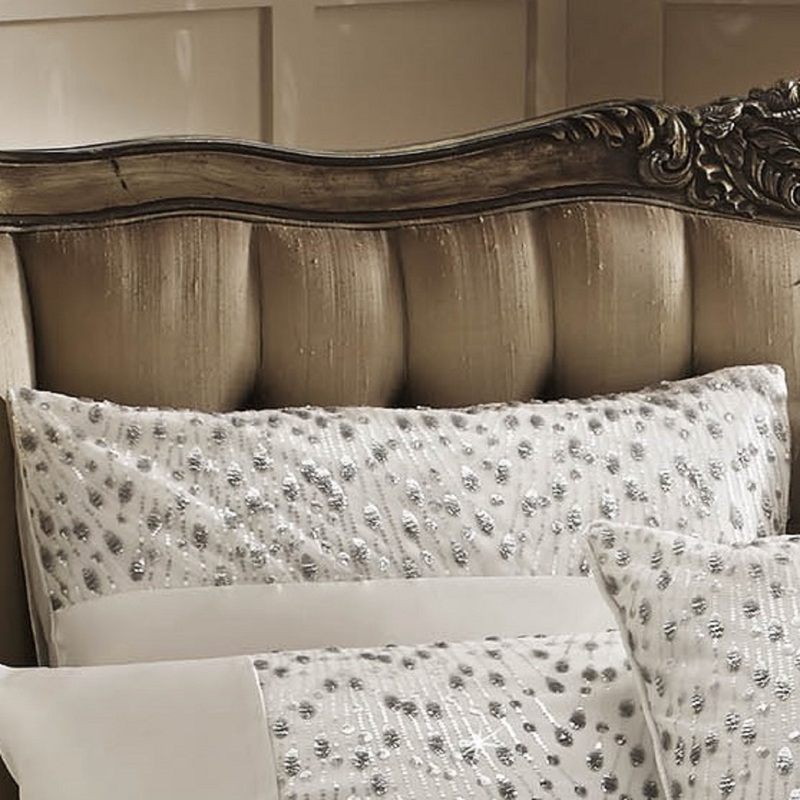 Reminiscent of art deco glamour, Eva bedlinen brings magic to your bedroom. 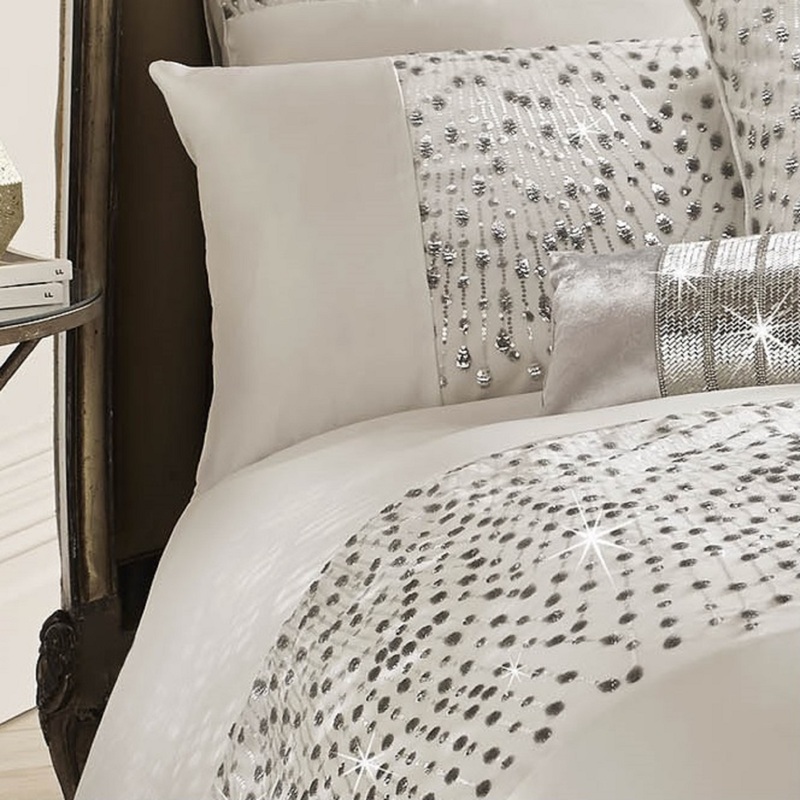 On soft oyster satin, intricate trails of tiny silver sequins create bursts of sparkle across the duvet and pillows with large sequin clusters shaped as tear drops. 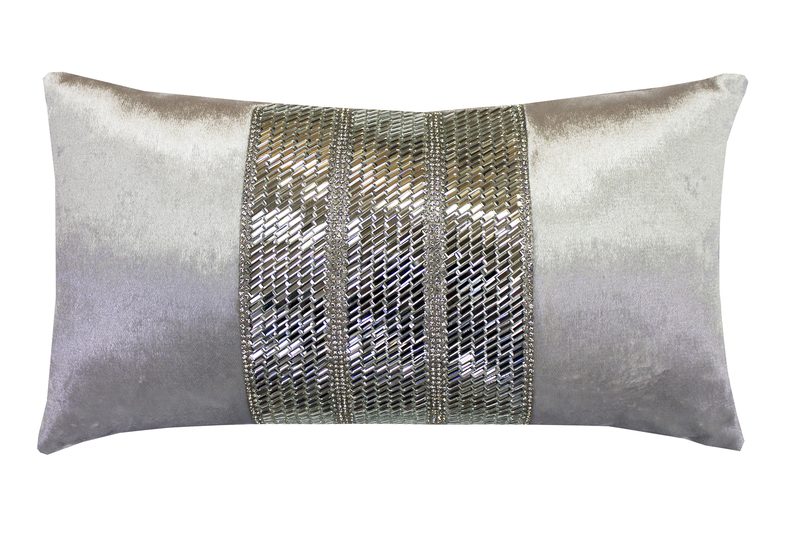 This stunning design continues onto the Eva throw and cushion, enhancing its luxe appeal. 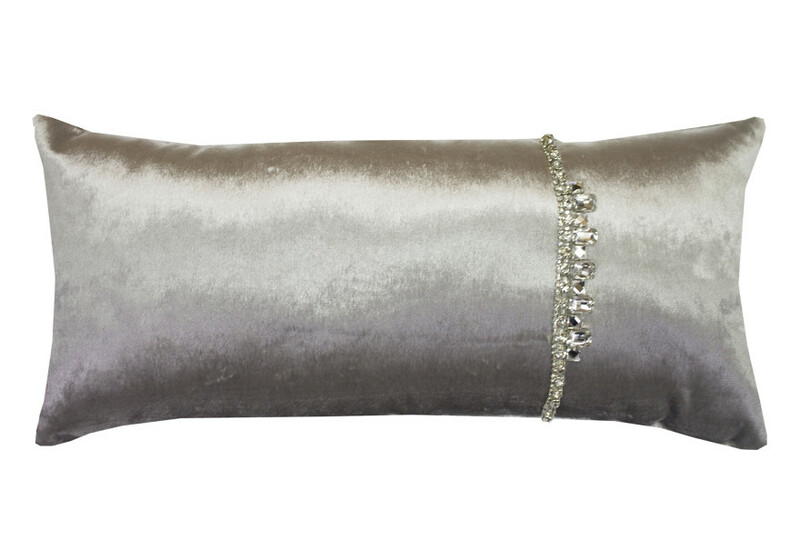 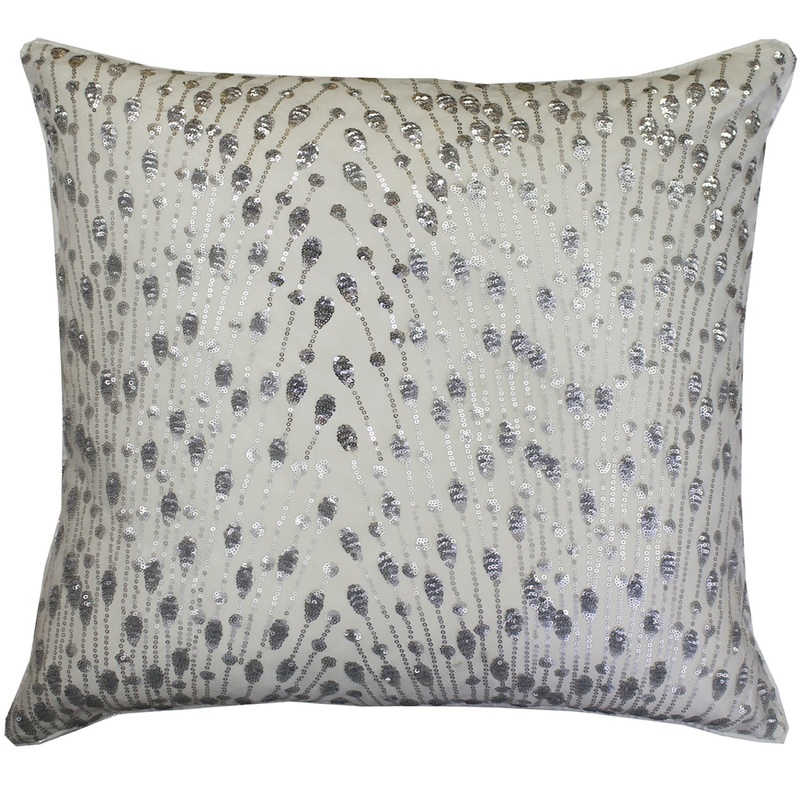 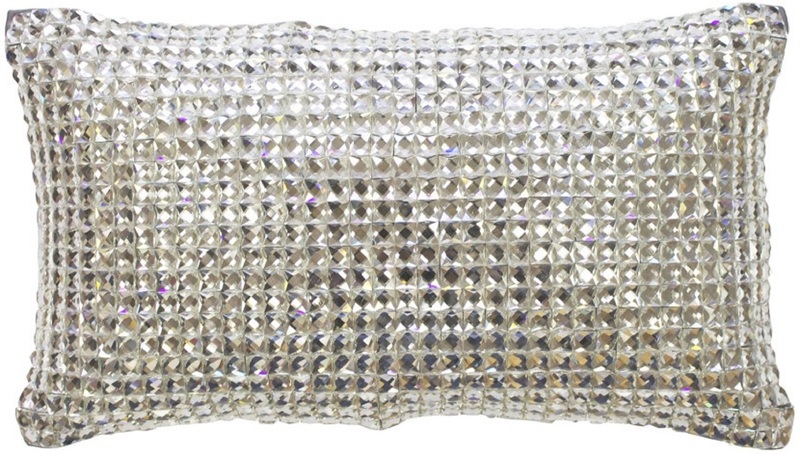 Complete the look with a beautiful selection of jewel encrusted cushions.